June Mills creates hand-painted garments and textiles. June’s expressions of Larrakia landscapes add extraordinary layers of beauty and detail to the textiles and garments on which she paints. 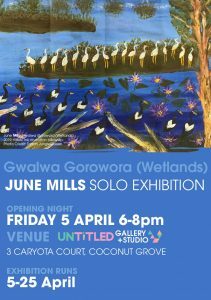 Her works capture the serenity and natural beauty of the Larrakia wetlands and the preciousness of water as a life-giving resource. 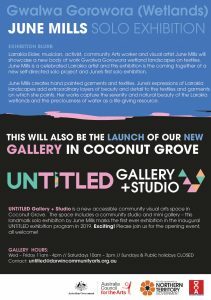 UNTiTLED Gallery + Studio is a new accessible community visual arts space in Coconut Grove. 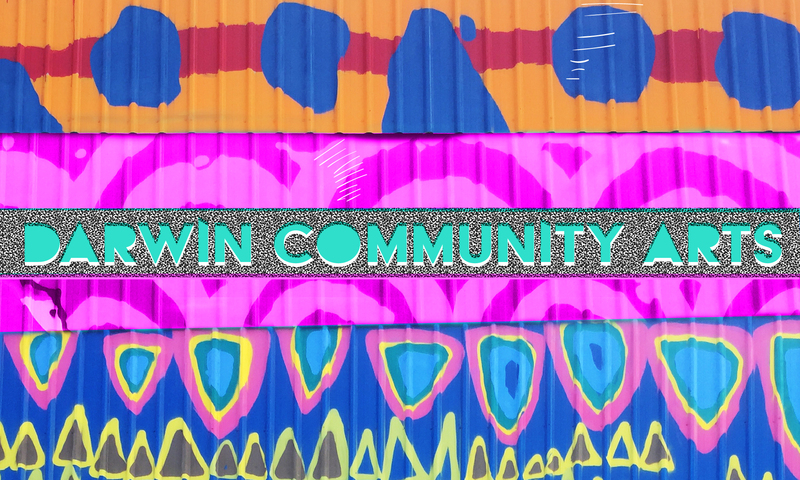 The space includes a community studio and mini gallery – this landmark solo exhibition by June Mills marks the first ever exhibition in the inaugural UNTiTLED exhibition program in 2019. Exciting! Please join us for the opening event, all welcome!